1. Boomerang - Decadence & Glamour The first time I watched Boomerang I distinctly remember wanting to become some kind of executive when I grew up. Marcus Graham, played by Eddie Murphy made it seem like the coolest job ever. He was a hot-shot, advertising executive that lived the ultimate player's life - then he meets his match in Robin Givens - a major man - eater. The film was set in the 90's where men happily went shopping for suits and fine touches like cashmere scarfs and silk ties. 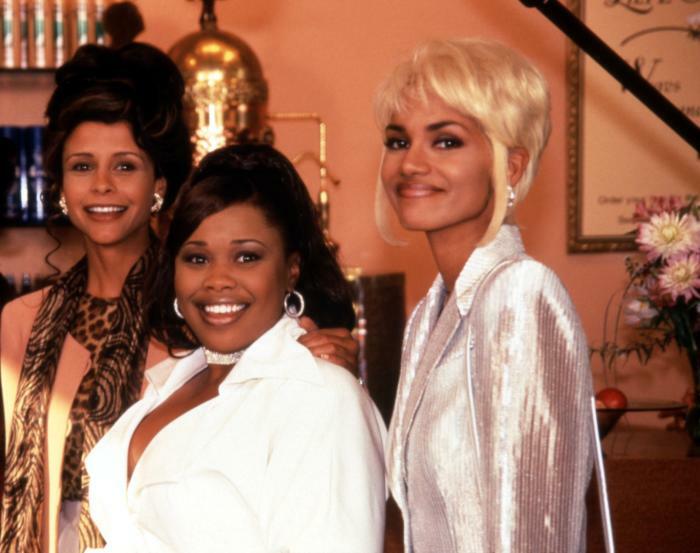 The women of the time wore clip-on earrings, pearl choker's, shoulder pads and hair was teased and feathered whether it flowed down your back or was shaped like a mushroom (see Halle Berry). Other notable moments - anytime Strangé, played by Grace Jones came into the frame & John Witherspoon's mushroom shirt/jacket/tie "you got to coordinate" moment. 2.Love Jones - Dark & romantic minimalism. A poet meets a photographer - swoon. Nina Mosely, played by Nia Long was so chill. She wore a mixture of textures in muted color palettes of black, white, brown with very little jewelry and always a dark, vampy lip. 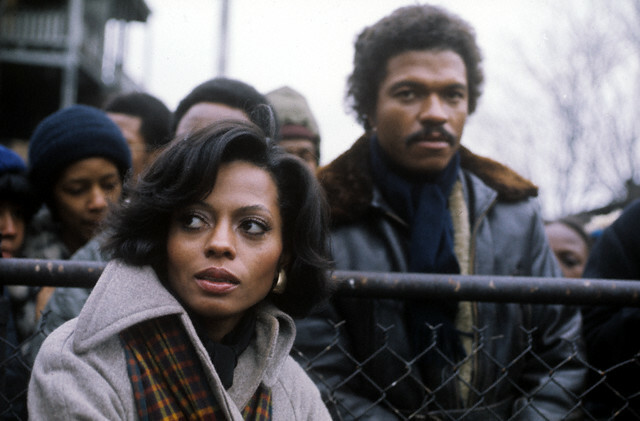 3.Mahogany - Diana Ross and Billy Dee Williams. Chile...get your life! The movie was about Tracy, played by Ross leaving Chicago to become a GREAT fashion designer. She ends up in Rome, gag! This movie should be required viewing at every fashion school. One of the most inspiring songs ever written is from this movie: (Do You Know Where You're Going To). 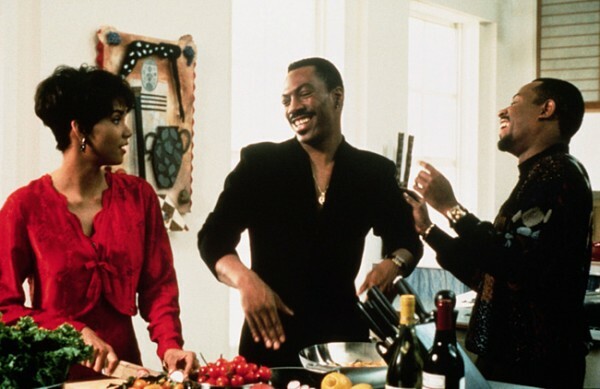 How these so-called "diverse and progressive fashion institutions" continuously miss the significance of this film.. If white people can have Dumb & Dumber, and Romy and Michelle's High School Reunion then dammit WE GON' HAVE B.A.P.S. & Soul Plane!!! Black people, yall gonna let Halle be great! Anyway, these "Atlanta Diva's" started out a little rough around the edges, yet remained true to themselves; and after an intuitive trip to Los Angeles they cleaned up pretty nicely. Honey, All I know is Halle had ALL the vinyl suits!! Not to mention the most lavish hairstyles and gold teeth! 5. Carmen Jones - The pioneers on which all of the above and myself stand. Carmen Jones was SO mean that in 1992 "the film was selected for preservation in the United States National Film Registry by the Library of Congress as being "culturally, historically, or aesthetically significant." 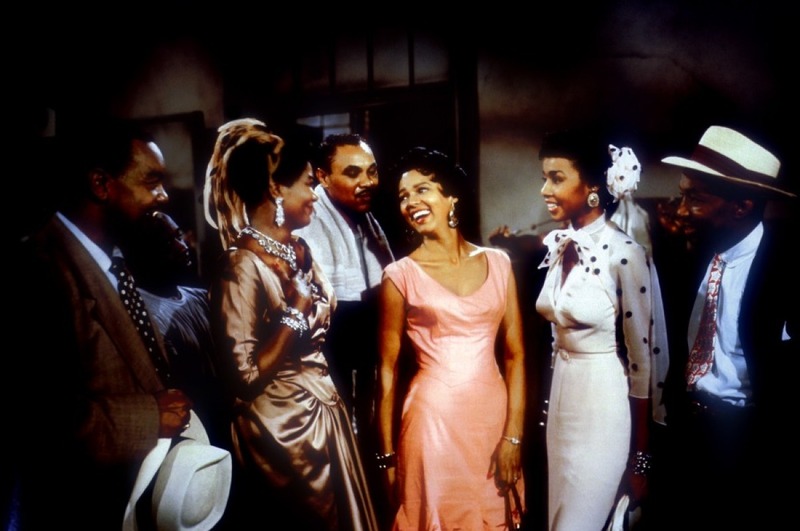 The filmed starred Dorothy Dandridge, Harry Belafonte, Pearl Bailey, Diahann Carroll and others. The costume and musical numbers are so well executed I can't understand why we don't have more musical films today. I hope you enjoyed. So often I see post that list the top fashion films and they never include a black and/or minority film. As if we don't have careers, interest, or impact within the fashion industry. So I decided to compile my own list. These films continue to inspire and motivate me. Come back for Part 2 later in the week. Leave a comment an let me know your favorite Fashion Films starring African Americans!